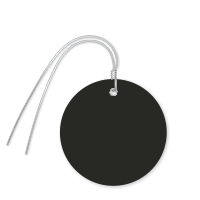 Use these 3 inch pre-wired Plastic Circular Tags in black color and easily identify your inventory products. Or use these tags for color coding projects. Just attach the wired product to your asset for easy identification.